I’ve never really gotten into the Metal Gear series, however everything I saw about MGSV looked intriguing. I liked the idea of trying to sneak into bases and take out a target or rescue a hostage. I also liked that MGSV would provide players with plenty of firepower and the option to go in guns blazing if they so choose. This sounded appealing, because I’m terribly impatient and am horrible at stealth missions in games. 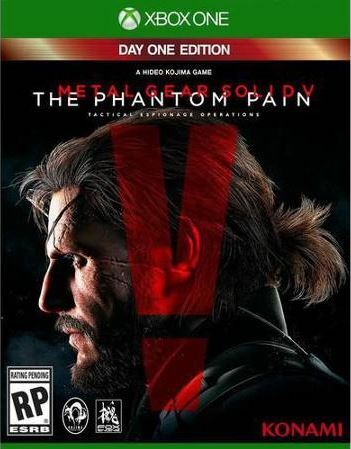 I decided I’d purchase Metal Gear Solid V: The Phantom Pain. I should note that my only experience with the Metal Gear series comes from watching someone play the first Metal Gear Solid back in 1998. I remember trying to play it, however my eleven year old self couldn’t handle the sneaking and I would always get angry when I got spotted and panic. I also played Metal Gear Solid 2 on the Xbox, but remember very little from it besides getting so frustrated with the underwater section that I nearly quit. 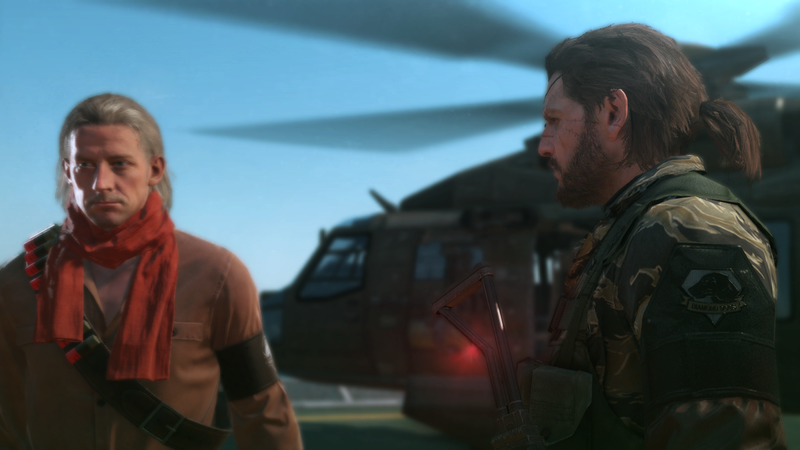 I played around with Metal Gear Solid V: Ground Zeroes, but never really got too far in it. Because of my lack of knowledge of the Metal Gear series, the opening of MGSV left me dumbfounded. Not only did I not know what was going on with the characters (or who any of them really were), but the incredibly strange nature of everything that was happening caught me off guard. I expected Metal Gear to be something of a serious game, not quite as sci-fi and nonsensical. I’m still uncertain if the opening sequence was some sort of dream or hallucination. Everything seemed so normal at the start and before I knew it I was being chased from characters out of a comic book movie. This all put me off, and I thought for awhile I may have made a mistake by trying to jump in with the fifth game. The opening sequence is long, and the player has very little agency. I almost would have preferred to have it all be one long cutscene, because every time the game gives control to the player there’s quite literally nothing to do but look around or press forward. In fact, the opening bored me so much that by the end of it I had fallen asleep (I was playing after work) and I awoke to a mission complete screen. I’m not sure what I missed but it probably doesn’t matter. Once I got into the game proper, I finally started to enjoy myself. The game looks great and controls very well. Everything Snake does feels just right. The sneaking isn’t too difficult, but I still always find myself getting spotted. Luckily once you’re spotted the game provides you with a reaction moment where you can save yourself by either pulling off a headshot with a tranquilizer round or by knocking the enemy out with a close quarters combat maneuver. I haven’t failed a mission yet, however I have been downed by a flurry of enemy fire, but was able to heal myself and get out of the situation. I’m not sure if there’s a limitation on healing, but when you’re badly injured you can hold ‘Y’ to get yourself back in the action. In this case I switched to a rifle and just blasted everyone dead before sprinting out of the complex and to the helicopter without ever turning back. Shooting myself out of bad situations hasn’t always been helpful, however. I was on a side ops mission and ended up shooting the person I was supposed to extract, thus failing the mission. Luckily the game doesn’t greet you with a fail screen, but rather leaves you in the open world with a ‘side ops cancelled’ message. I’m not quite certain how I should be managing the Mother Base, but I’ve been having a blast fultoning any knocked out enemy back to my base to be one of my new “employees”. I’ve only completed two missions in Metal Gear Solid V: The Phantom Pain, but I’m certainly looking forward to diving deeper into the game. I’m not sure if I’ll ever understand the game, but at least the gameplay is a blast! This entry was posted in Video Games and tagged confusing, Metal Gear Solid V, Metal Gear Solid V: The Phantom Pain, MGSV opening sequence, mgsv prologue, video games, Xbox, Xbox One. Bookmark the permalink. I’ve played about 15-20 hours so far and am only on 6% played. Like you I was never into the series before but this is a good game.